The term 'learning disability' covers a huge range of symptoms, conditions and impact on the individual. In many cases, the 'type' of learning disability itself can be manifested from one person to another in many different ways. Those with mild learning disabilities can often carry out day-to-day activities and live within communities almost completely independently, with little input or need for learning disability services. But people with moderate to severe learning disabilities may need access to round-the-clock support and treatment, relying heavily on a good support network. Whilst families often take some of the role of caring and support, there are times when extra assistance is required. This may be on a short-term basis during times of change, or ongoing support to help with daily activities. Because needs are assessed on an individual basis, and the issues arising from the learning disability can be so varied, it's not surprising to find that there are a vast array of learning disability services. Here we take a look at just some of those services available to people with learning disabilities, and their families in the UK. The government has stipulated that people with learning disabilities should have the freedom to choose the kind of treatment that they receive. They should also have access to their communities, which may require providing things like specialised transport and housing. 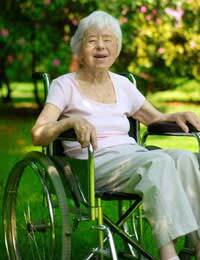 Local authorities may also run community day centres, residential homes or nursing homes. These kinds of services are often referred to as 'social care' services. This is why local authorities have a particular responsibility to provide a range of essential services to enable people with learning disabilities to access the care, treatment, support that they need. Guidance on the appropriate social care services is provided by central government, and officials are employed to help ensure that the services are being carried out properly. Health and social care services are delivered via the NHS (Primary Care Trusts, or PCTs). You can contact your local authority directly to find out more about the services available in your area. Mencap is perhaps one of the most well-known of the learning disability service providers. Mencap offers support, advice and resources to help people with learning disabilities, as well as their families, carers and other professionals. Mencap cites itself as the 'voice of learning disability', and is affiliated with over 500 other groups. Mencap is active in campaigning for changes and improvements for people with learning disabilities. It is also one of a number of groups that helped the government to produce the white paper 'Valuing People'. Mencap also provides flexible services for people with a learning disabilities, as, in line with the aims in the 'Valuing People' white paper, it believes that a person with a learning disability should be able to live as independently as possible. Mencap has local groups that offer advice, support, fundraising services and training for professionals. You can visit its website to find out where these local groups are currently operating. The British Institute of Learning Disabilities (BILD) is a national charity that is continually aiming to improve the quality of life for those with learning disabilities. It works with many organisations, including advocacy groups and the government, producing publications and helping to steer improvements in policies. BILD also provides learning services, by training professionals, family members and people with learning disabilities. It is a member of the 'Learning Disability Coalition', an organisation comprised of 15 Learning Disability groups. The Foundation for People with Learning Disabilities works in a number of ways to provide people and families of people with a learning disability support. It provides consultancy and conduct research, working and seeking advice from families and people with learning disabilities. The Foundation for People with Learning Disabilities also promotes individualised plans to help people to direct the support that they need, working with services that everyone uses to improve access for people with learning disabilities. Of course, there are many more valuable learning disability organisations designed to provide support, training and resources for people with a learning disabilities, their families, carers and professionals. There is also a large number of organisations for specific learning disabilities, many of whom work with local authorities to help improve services. Contact your local authority for more information, or take a look at the Learning Disability Coalition website for more information about active groups and organisations. Please could you me give advice about further education for my step daughter who as learning disabilities and what to go back college with better support instead of feeling so is made unimportant. .